China reports new outbreak on African swine fever - SABC News - Breaking news, special reports, world, business, sport coverage of all South African current events. Africa's news leader. First detected in August 2018, the disease has killed more than 1 million pigs in China. China has reported a new outbreak of African swine fever that is threatening the country’s pork industry. 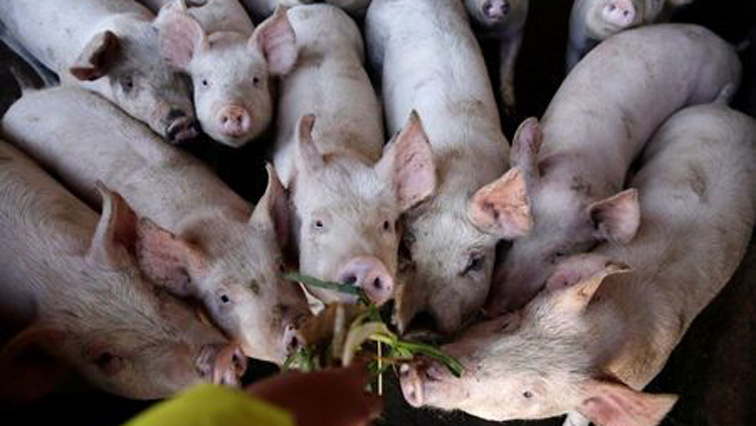 The Ministry of Agriculture and Rural Affairs reported on Friday that the disease had been detected on a farm in the central province of Hunan, where 4 600 pigs were being raised. Although just 171 of the pigs had died and 270 were found sick, regulations require all pigs on an affected farm must be culled and the area quarantined and decontaminated. The disease doesn’t affect humans but is highly contagious in pigs. This entry was posted on 09 Feb 2019,03:25PM at 3:25 PM and is filed under Sci-tech. You can follow any responses to this entry through the RSS 2.0 feed. Both comments and pings are currently closed.